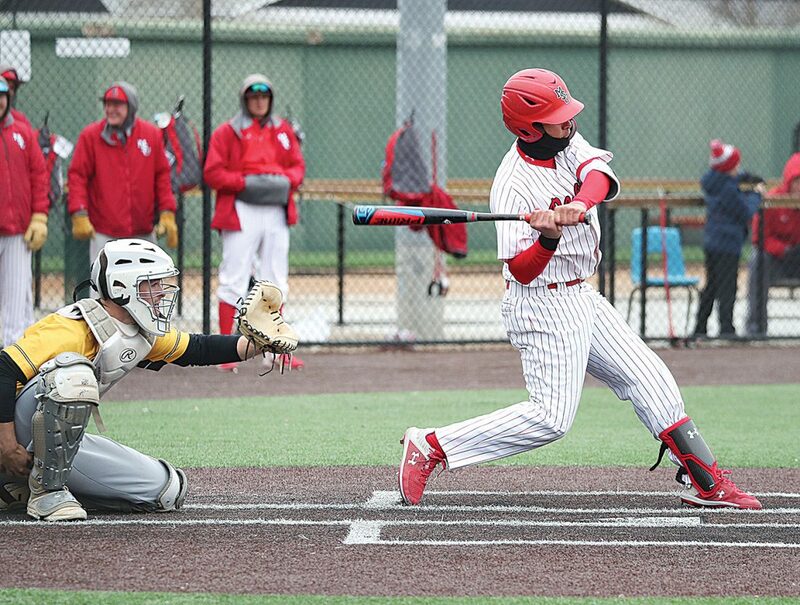 Photo courtesy of Sean Arbaut Minot State senior Andrew Black swings at a pitch during the Beavers’ doubleheader against Wayne State on Wednesday at Corbett Field. This win wasn’t going to come easy for the Beavers. 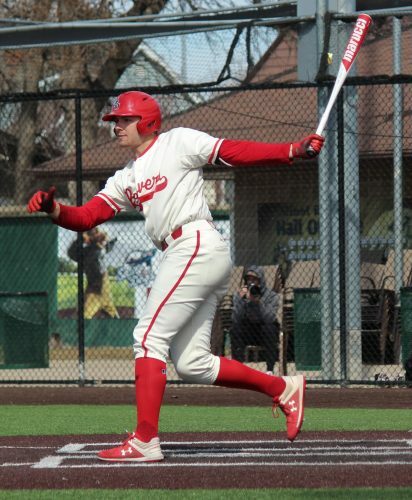 For nine innings, the Minot State baseball team (18-12, 11-6 NSIC) fought tooth and nail with the Wayne State Wildcats (24-9, 15-5 NSIC) in the opening game of Wednesday’s doubleheader at Corbett Field. Both teams experienced their fair share of momentum swings throughout the contest, and yet the score remained deadlocked at two runs apiece. A winner would have to be decided in extra innings. That winner proved to be the Beavers, as they claimed a hard-earned 6-3 win and ultimately settled for a split against the Wildcats on the day. The Wildcats got the first chance to claim control, as they picked up their bats for the top of the 10th frame. Wayne State’s Brendan Madsen immediately got his team into scoring position with a double to left field off Minot State pitcher Jack Gamba on the first at-bat. With Madsen now on third base after a sacrifice bunt, Kyle Thompson stepped up to the plate and connected on a pitch. The high-arching shot soared to deep right field and fell into the glove of Michael Borst. The senior quickly rifled a throw to home plate as Madsen tagged third base and sprinted to the promised land. The throw sailed a good 10 feet to the right of the plate, allowing Madsen to score without having to slide. 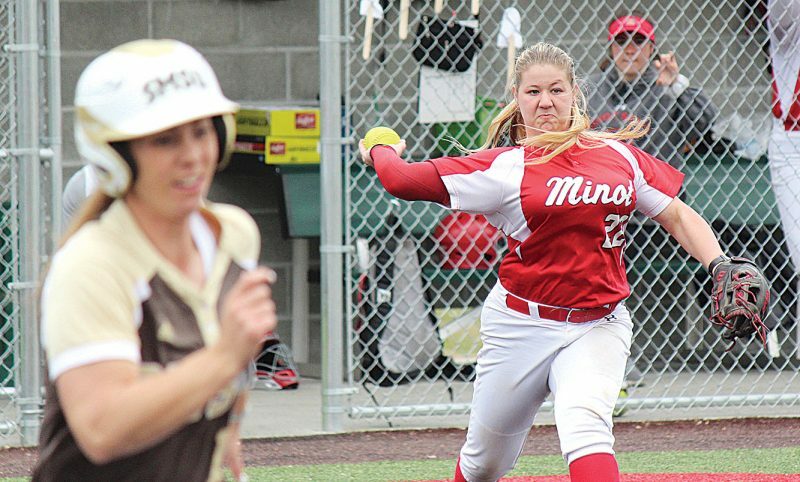 Minot State got out of the inning shortly afterwards, but the damage was done. The score now read 3-2. After Borst flied out to right field, Celestino Rodriguez and Mason Gifford each got on base with a walk to put the Beavers in business. Jake Collins loaded the bases on the next at-bat with a single, but Wyatt Schlosser followed the hit up with a strikeout. With two outs and the bases loaded, it all came down to Andrew Black. The senior got a pitch he liked from Zenner and went for it. He swung his bat and made direct contact with the ball, sending it to deep left field. Black’s teammates hollered from the dugout as the ball appeared to be in danger of staying in play. Instead, the wind carried it over the fence for a walk-off grand slam. The Beavers spilled onto the field and met Black at the plate after he completed his victory lap around the bases. Finally, Minot State put away the Wildcats for the 6-3 victory. But that hype flatlined in the second game of the afternoon, as both teams struggled to get on base due to some stellar play on the mound. In the end, it was Wayne State who emerged with a hard-earned 1-0 victory to force a split on the day. The Beavers stayed in the game thanks to senior ace Reilly O’Rourke, who struck out nine batters and allowed just four hits in five innings and change. 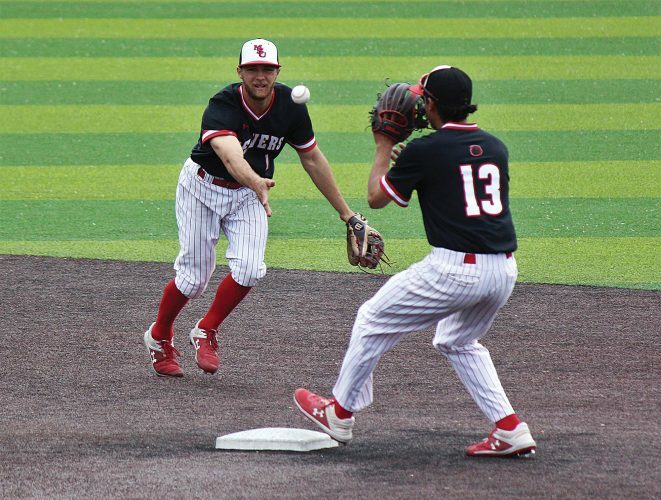 The two teams remained scoreless entering the top of the eight inning, but that’s when the Wildcats made their move. With two outs and the bases loaded, the Beavers brought in pitcher Matt Sartwell to try and get the last out. After a couple of throws into the dirt, the junior found himself in need of a strike with a 3-1 count. Sartwell sent a fastball in the direction of Wayne State’s Peyton Barnes and watched as it zipped past him and landed in the glove of Gifford. The throw was a tad to the left. The umpire called a ball, gifting the Wildcats a free run to take a 1-0 lead. 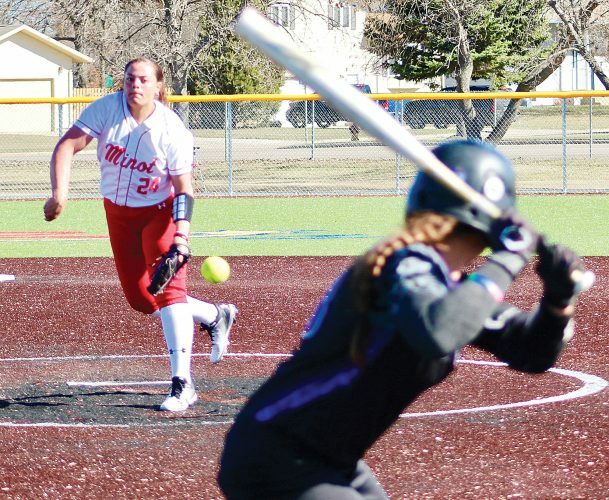 Minot State failed to answer with a score of its own in the bottom of the inning, and Wayne State escaped with the one-run win. 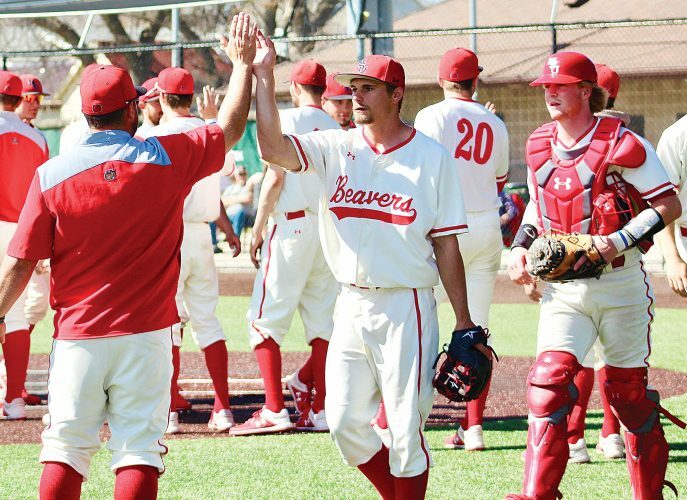 The Beavers will try to find their offensive rhythm when they host a pair of doubleheaders against Northern State on Saturday and Sunday at Corbett Field. Saturday’s games are scheduled to begin at 1:30 p.m., while first pitch on Sunday is at noon.